The Draper Wildlife Management Area in McConnells sits adjacent to Historic Brattonsville. In fact, the 806-acre wildlife management area once belonged to R. Fisher Draper, an IBM manager whose property holdings once included part of Historic Brattonsville. Draper bought the land from Bratton descendants in 1958. In 1994 York County bought 1,241 acres, which included Draper land, and gave 435 acres to Brattonsville, which was being developed as a living museum. The county sold the rest to the South Carolina Department of Natural Resources in 1995 for a managed outdoor recreation site named for Draper. 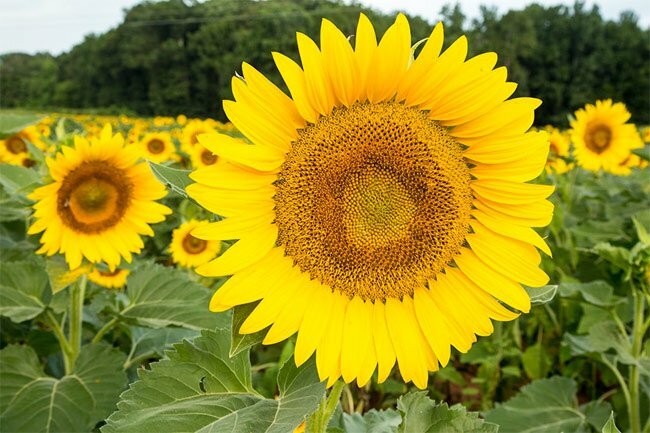 The property is best known for its spectacular display of sunflowers (Helianthus annuus) each summer. 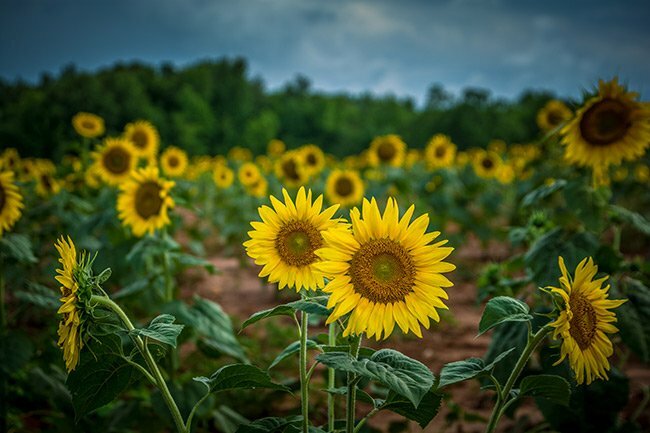 The sunflower seeds are planted in two fields each April, and by late June, visitors are treated to a panorama of vibrant yellow. The flowers occupy thirty acres and are at their peak from late June through early July. The fields are planted in order to attract doves for hunts in the fall. Draper WMA maintains two dove fields, one for adults and one for youth. The land is managed for small game hunts as well as for white-tailed deer and turkey. There are also three stocked ponds on the property. Recreational activities for non-hunters include hiking, cycling, and bird-watching. 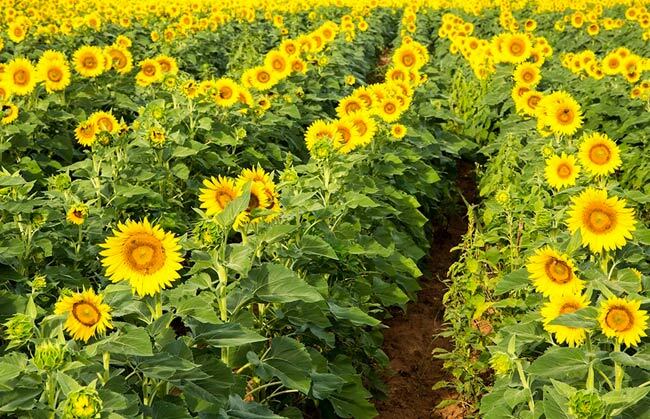 The sunflower fields are popular with photographers. Draper WMA is managed and owned by the South Carolina DNR as well as the York County Legislative Delegation. Have the sunflowers started to bloom this year? And if so, how long do they usually bloom for? Hi, Jenn. We suspect that the sunflowers have come and gone, but we can’t be sure. The website for the WMA is above the map on the page. Someone there should be able to give you a definite answer. 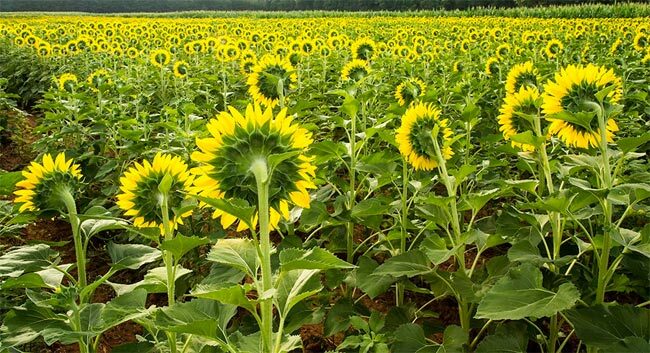 Hi, I was wondering if the sunflowers are still standing or have they already been harvested? Thank you for the kind words! We wish we could tell you specifically where the the third one is, but sadly, we have not been to Draper ourselves. However, here is a link from the DNR mentioning the three ponds, and hopefully someone from the DNR can guide you to that last pond: http://www.dnr.sc.gov/news/yr2015/june18/june18_draper.html Best of luck! It says that you have 3 stocked ponds at Draper, but I have only been to 2 of them. Is there another pond, if so I would love to check it out. I love it out there. Y’all do a good job. Thanks for everything. Aww that makes me sad. Thank you so much. Maybe we can take pics after delivery. Thank you for responding back. They are “due” to bloom later in the summer, but have not yet begun. Best of luck with you delivery! I was wondering if the sunflowers are blooming. I know peak season is in July but I’m scheduled to deliver July 4th so I won’t be able to take maternity pics in July. I’m wanting to take my maternity pics in a sunflower field.